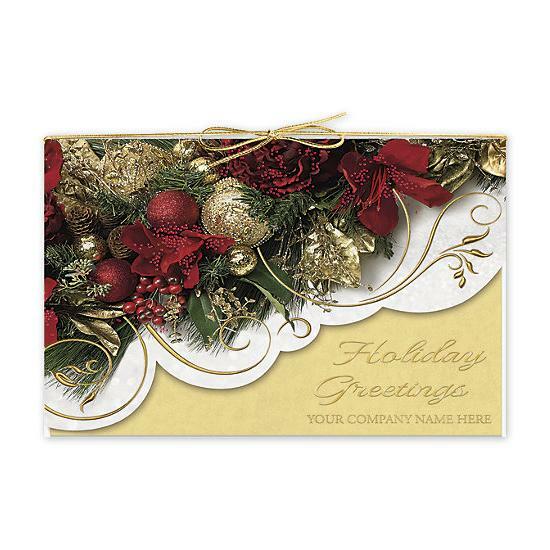 Send greetings that will keep your business top-of-mind with the soft, antique golds and crimson of the Delicate Trimmings Card. 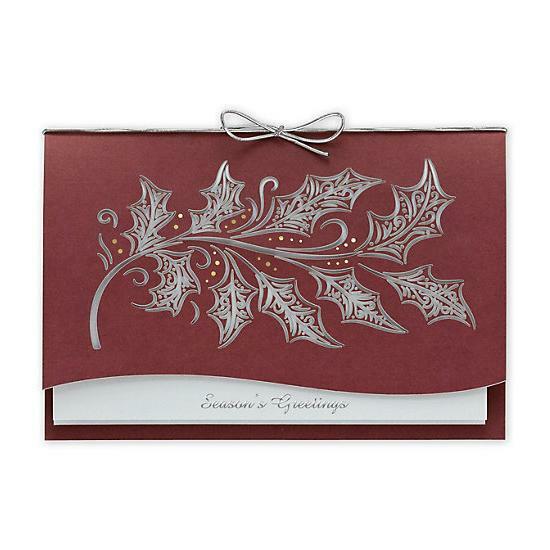 Unique touches include embossed gold and red foil accents with die-cut edge on gloss stock; a gold bow and vellum insert. 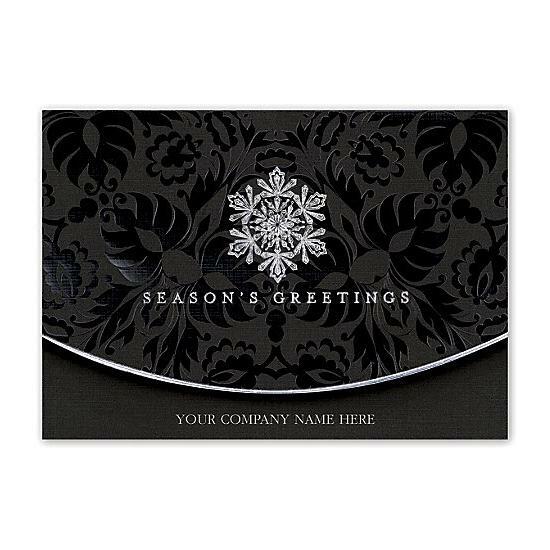 Add your company name in gold foil to the front of the card on the gold vellum insert and select from three greeting messages: Holiday Greetings, Merry Christmas or Thank You for Your Business. 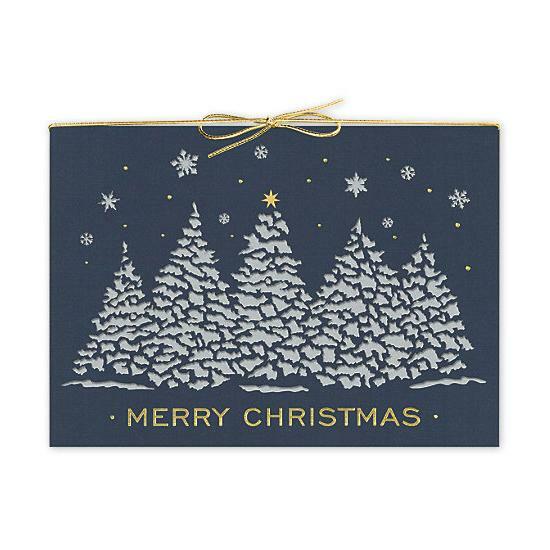 Some assembly required: Card includes cover, gold vellum insert and gold bow to hold pieces together; extra postage required.